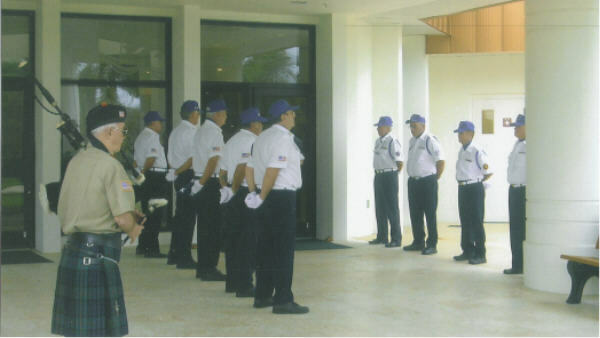 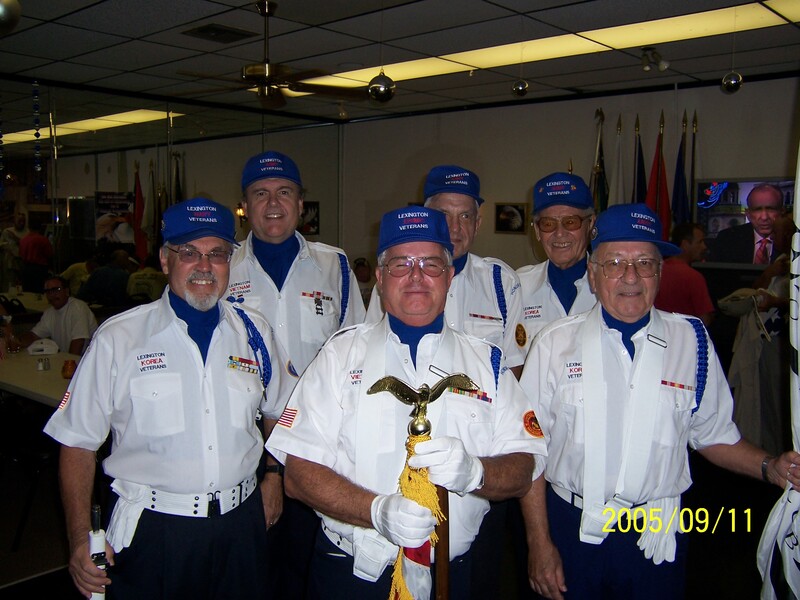 At Dec 7, 2001 Pearl Harbor Day - from L to R: Unit 1-Frank Hammond; Bill Ratliff; Cal Calvanese; Jim Sims; Bob Kelley. 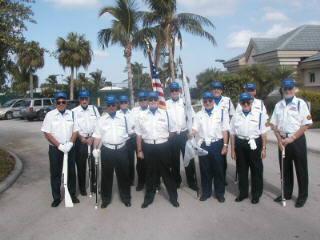 Unit 2-Henry Zemel; Phil Loparo; Paul Giacchetti; Ernie Smith; Paul Wymer. 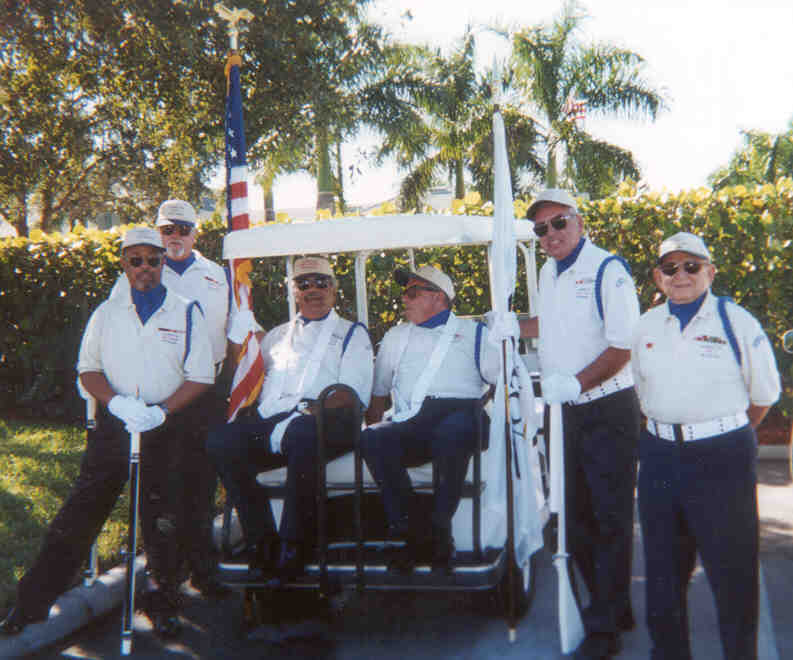 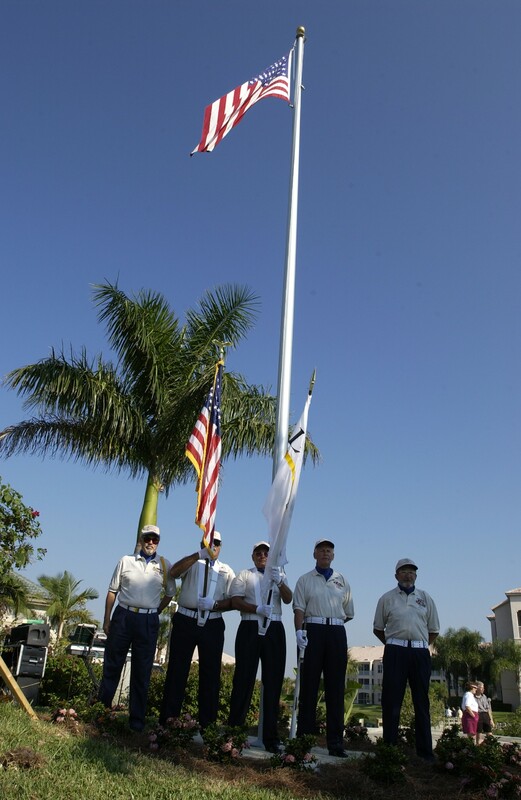 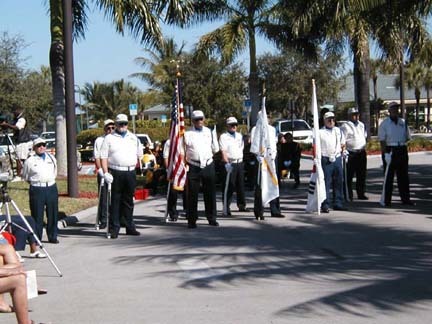 Veterans Day, Nov 11, 2001- Island Club Flag Dedication - Unit 1 - R to L: Frank Hammond; Bob Kelley; Jim Sims; Cal Calvanese; Bill Ratliff. 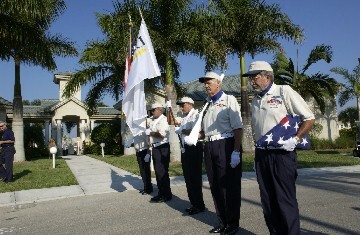 Veterans Day, Nov 11, 2001- Island Club Flag Dedication - Unit 1 - R to L: Frank Hammond; Bob Kelley; Jim Sims; Cal Calvanese; Bill Ratliff. 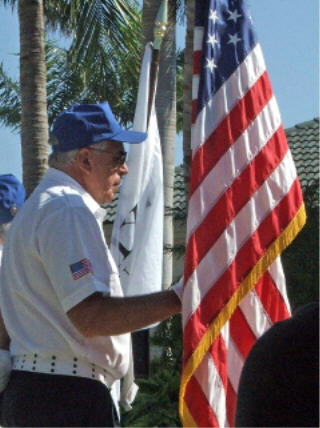 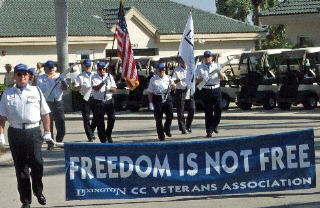 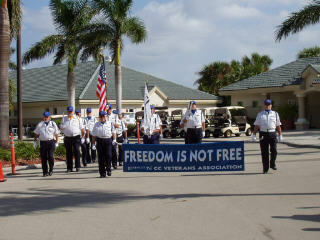 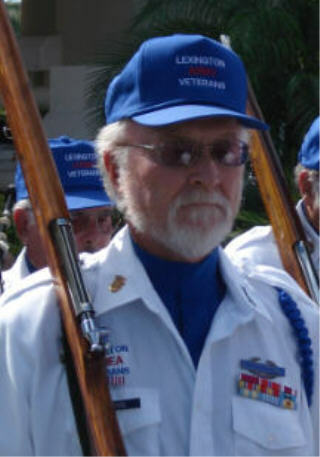 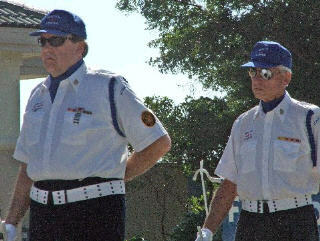 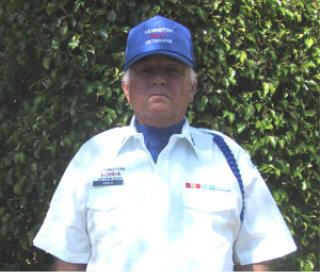 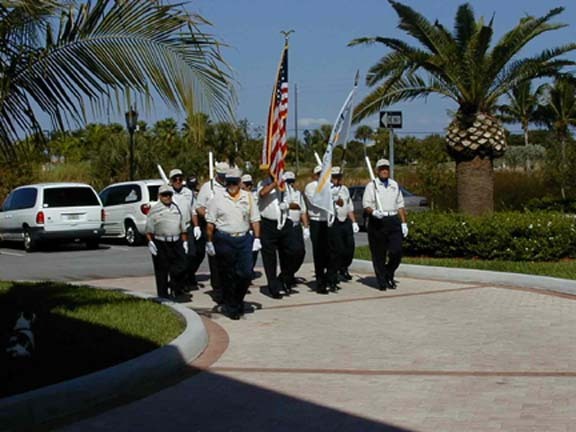 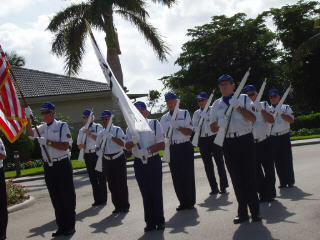 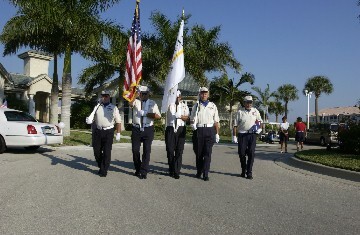 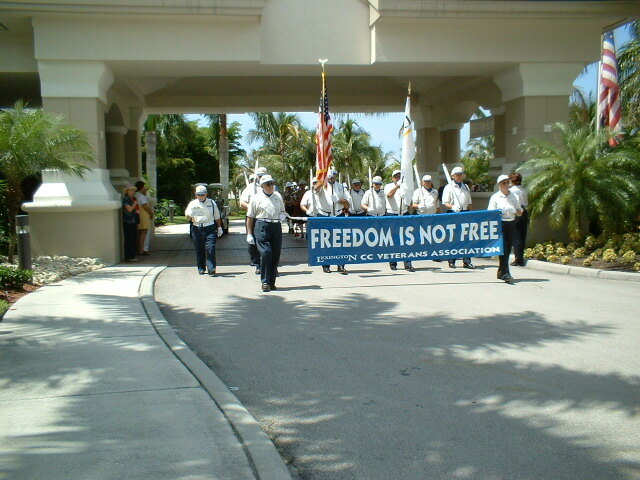 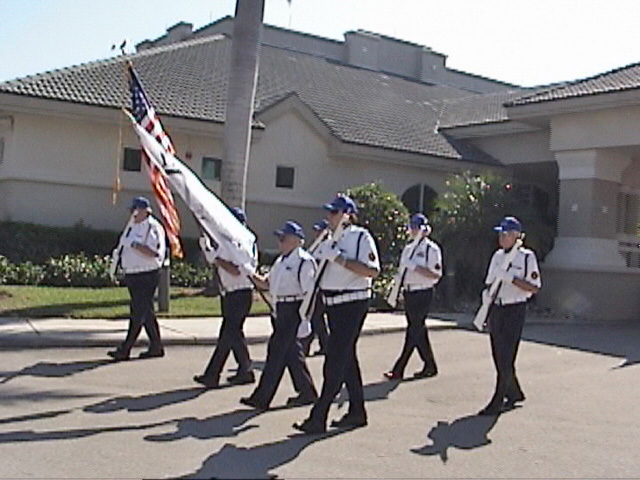 The Lexington Veterans Honor Guard, when requested by the family, renders full Military Honors and has done so numerous times. 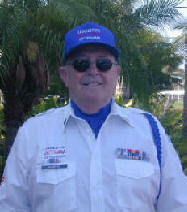 Every honorably discharged veteran should receive Military Honors. 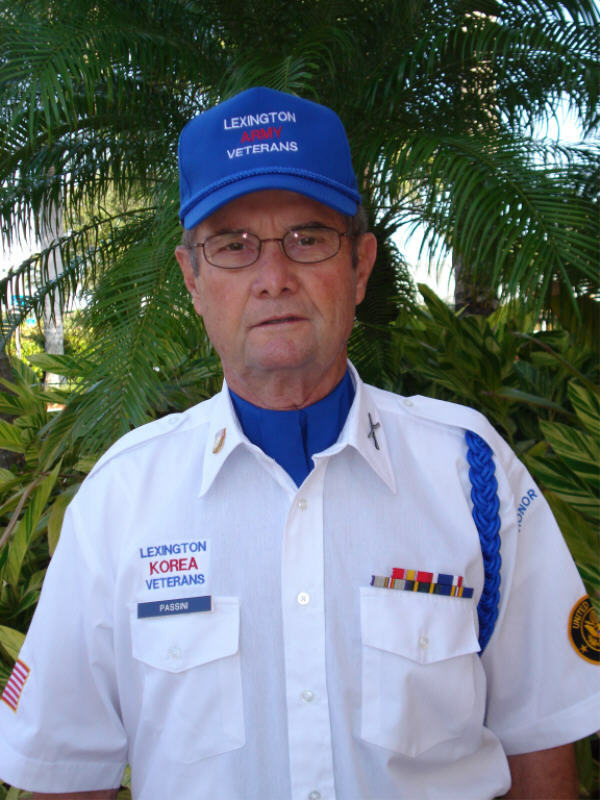 The list below are Lexington Veterans who have received such honors by the Lexington Veterans Honor Guard. 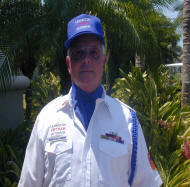 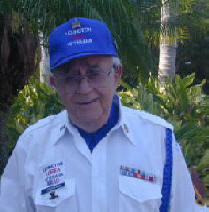 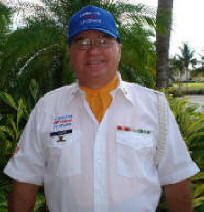 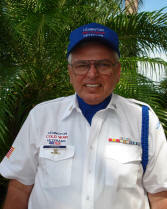 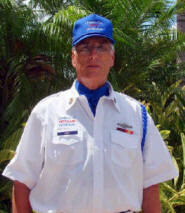 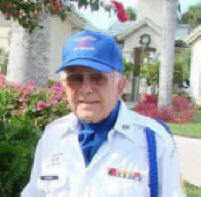 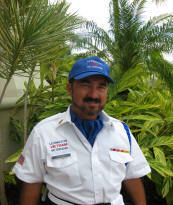 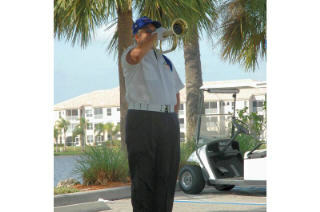 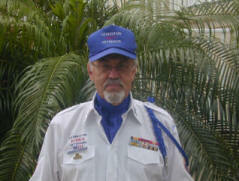 Many others have received Military Honors by other military or veteran units. 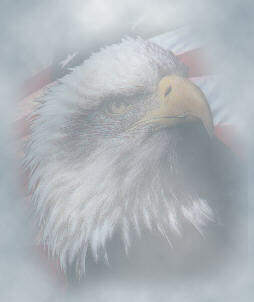 Music: US Air Force Bagpipes - "Scotland the Brave"